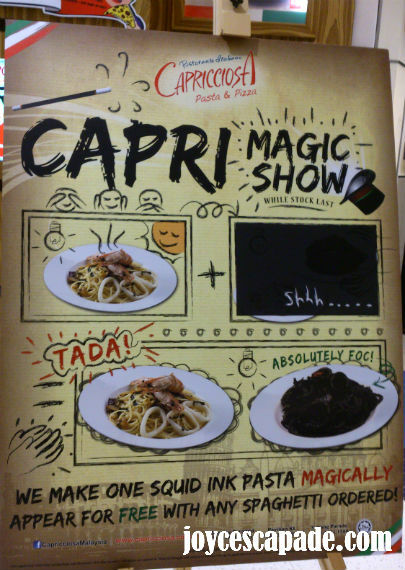 Do you know that Capriciossa Pasta & Pizza Malaysia is running a "magic show" whereby they make one Squid Ink Pasta magically appear for FREE with any spaghetti ordered? 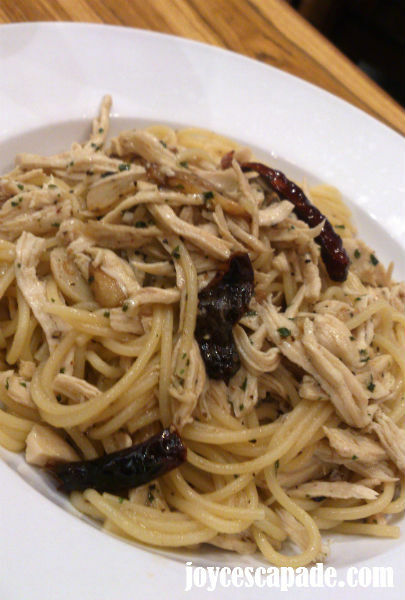 This is a classic dish - spaghetti sauteed in olive oil with garlic, red pepper and topped with chicken and chopped parsley. 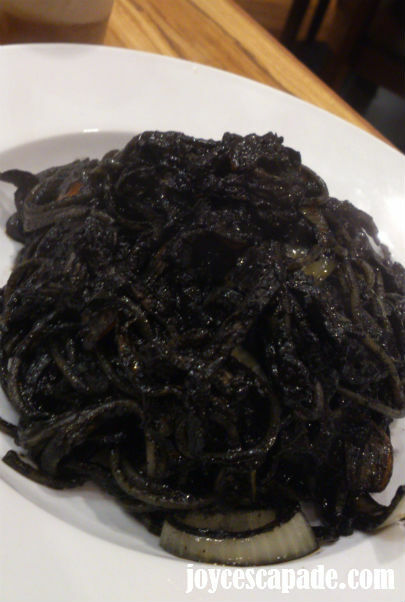 Black and gooey! 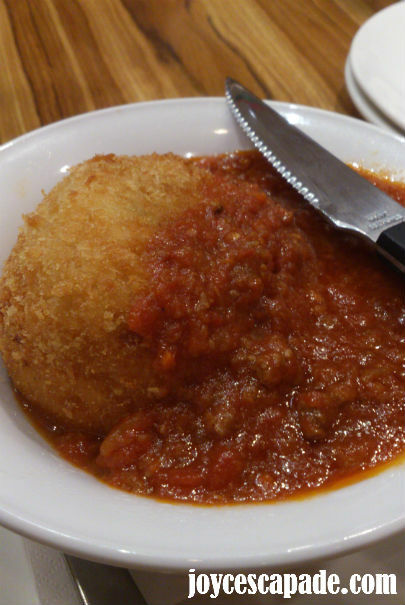 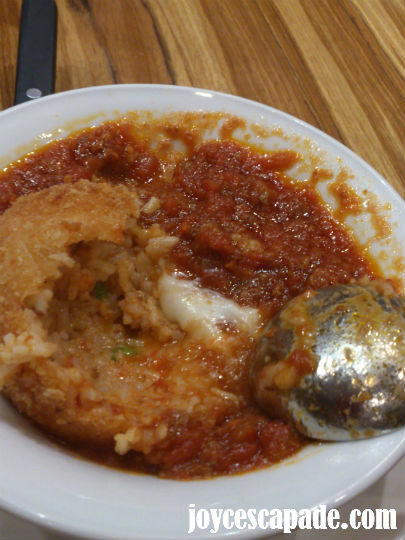 It doesn't look very appetizing at a glance but taste wise, it's really not too bad. 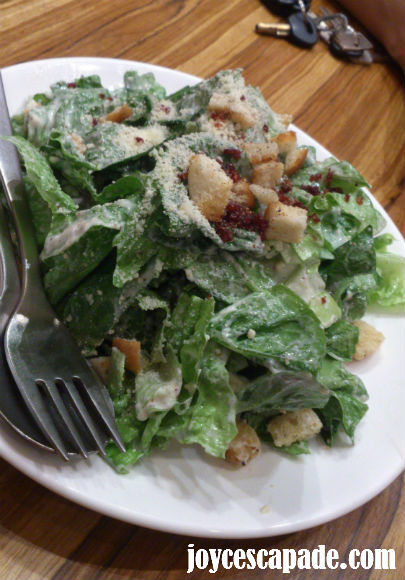 A refreshing plate of greens and crunchy croutons with bacon bits and cheesy goodness. 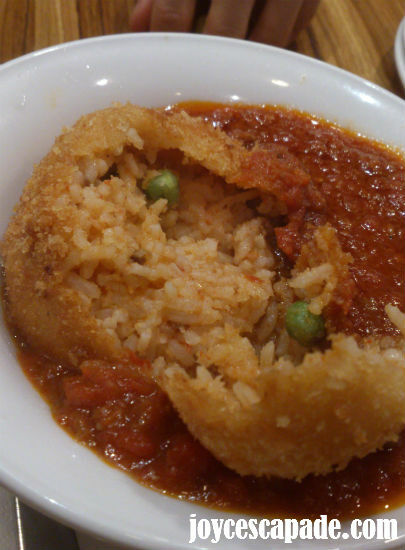 This fancily named dish sounds and looks interesting.